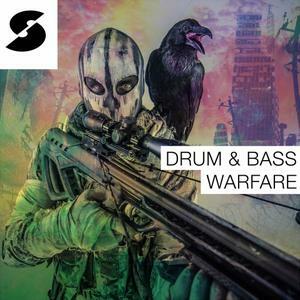 Drum & Bass Warfare' is for producers who are crying out for some Earth shaking, ear splitting, mind bending DnB samples. Prepare to delve into one of Samplephonics' most accomplished and devastatingly well-produced DnB packs of all time. Packed to the brim with analogue experiments, this pack guarantees to take your production to that next level. Harnessing the art of sonic manipulation yet delivering in a club ready format, these loops and one shots guarantee to tear a whole in any system they grace. Inside you'll find earthquake inducing basses and subs, tearing reese lines, classic and contemporary rolling drums, evolving soundscapes & atmospheres, hands in the air lead lines and the crispest of Drum & Bass percussion samples. This filthy DnB sample pack includes a killer selection of one shots, spread across all your favourite sampler instruments. As always, all loops are 100% Royalty-Free and come in a range of file formats.